Posts tagged with "day one"
If you're unfamiliar with Day One, it's simply the best journaling app available on Apple platforms. This week version 3 of the iOS app was released, adding great new features while simultaneously fixing some long-standing issues I've had with the editor interface. Many of the improvements are exclusive to Day One Premium subscribers, but the editor improvements benefit everyone. 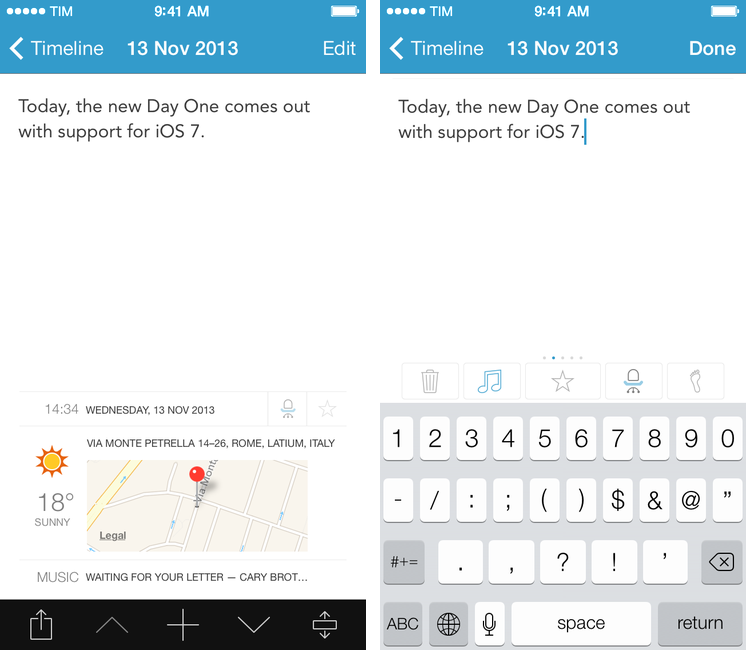 Day One has evolved over the years into one of the premier journaling apps on iOS. 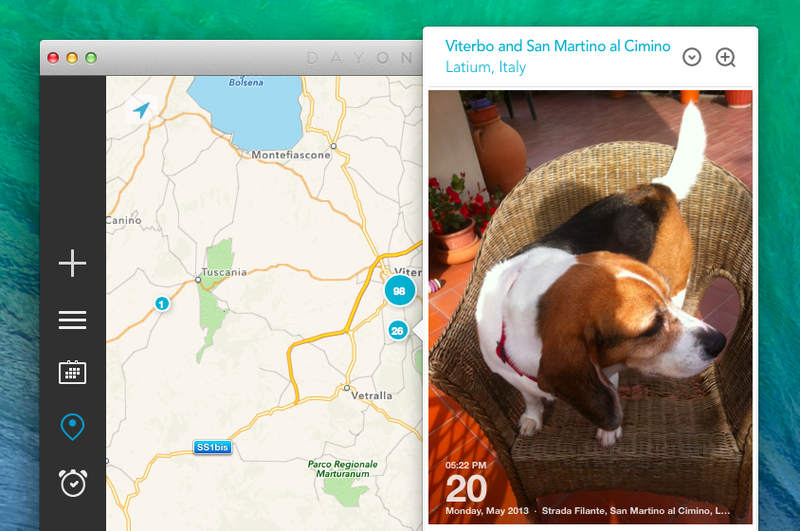 The app lets you combine your words with images, weather data, location information, and even your step count to create a highly-personalized journal. Now, you can preserve your memories as a book too. 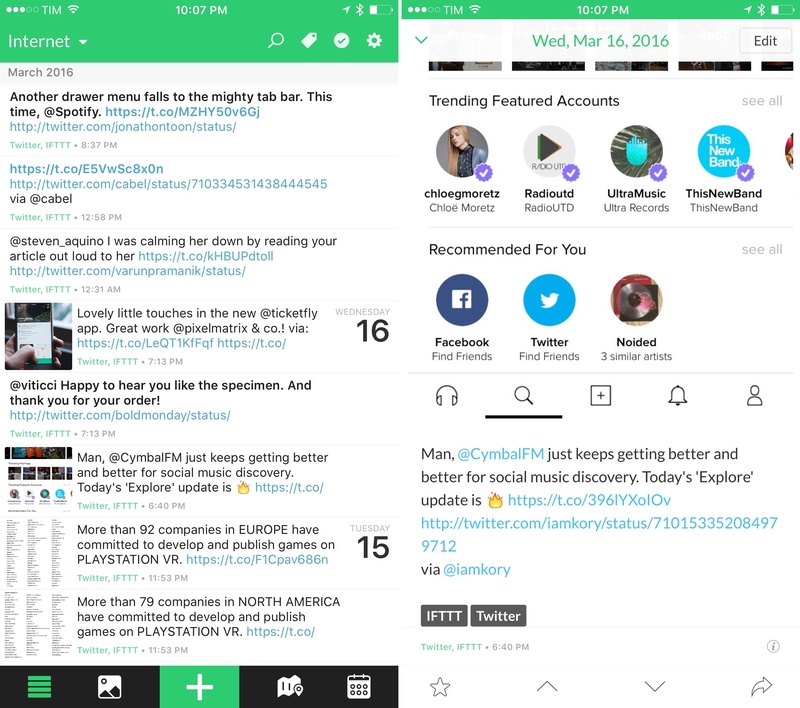 Day One, the well-known journaling app by Bloom Built, was an unmistakable success. On both iOS and Mac, it amassed multiple awards for both its design and quality of the experience. Through positive reviews and loyal users, Day One rose to the top of the charts and received recognition from Apple's App Store team. Although one might think that Bloom Built would be content to sit back and let the success continue, Day One 2 shows that this assumption is far from the truth. Through some added features and fresh coat of paint, Day One 2, launching today, is definitely an improvement – but with today's App Store littered with text editors, can Day One still hold its place and purpose? Another one of my favorite iOS apps, Day One, is coming to Apple Watch with a slimmed down UI focused on quick logging of new journal entries. The Day One team has only shared one screenshot of the Watch app, but it gives a good idea of what it'll be capable of. Like others, I often forget to create new entries in my Day One journal because I get distracted by all the other apps on my iPhone and creating a new location check-in takes too many taps. Day One for the Watch will have shortcuts for one-tap check-ins, dictation, and even customizable entries with tags. I'm curious to see if easier access to Day One will help me save journal entries more often. Day One for iOS was updated to version 1.14 earlier today, which, alongside bug fixes and the ability to insert photos copied in the clipboard, adds support for the Publish service to the iPad app. 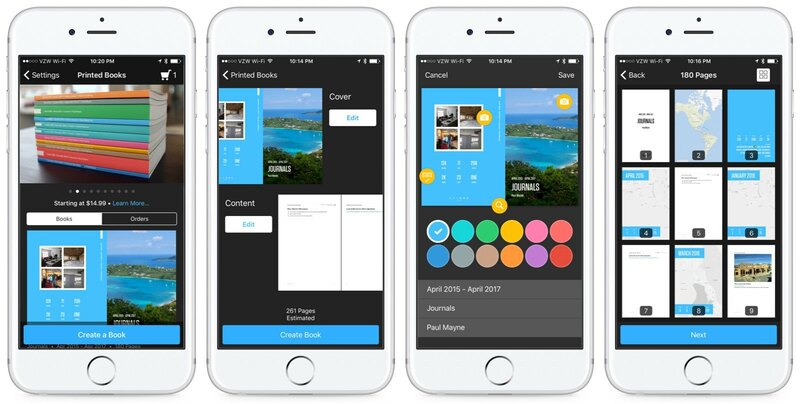 Day One introduced Publish in March, allowing iPhone users to publish their journal entries on a public webpage directly from the app; on the iPad, Publish works in the same way, but the larger screen makes it easier to assemble longer entries spanning multiple paragraphs. Day One 1.14 is available on the App Store. Sifttter takes the concept of Slogger and applies it to IFTTT by using Brett’s original TaskPaper script. Though it is essentially limited to current IFTTT channels, there is lots of flexibility through IFTTT itself, as well as the opportunity for individual input and customization. I’ve been using this for several months, and am happy to share it here for those who might be interested. While I decided to avoid tools like Slogger for my Day One journal, I think that the solution Craig put together is fun and nerdy. Not for me, but a good weekend project. Day One, my favorite journaling app for iOS and OS X, has received an update today that brings a visual refresh for iOS 7, support for background fetch via Dropbox, and new data tracking sources. Since its inception, Day One has been about adding context to your diary by using features of iOS and OS X that augment the classic journal in ways that paper never could. 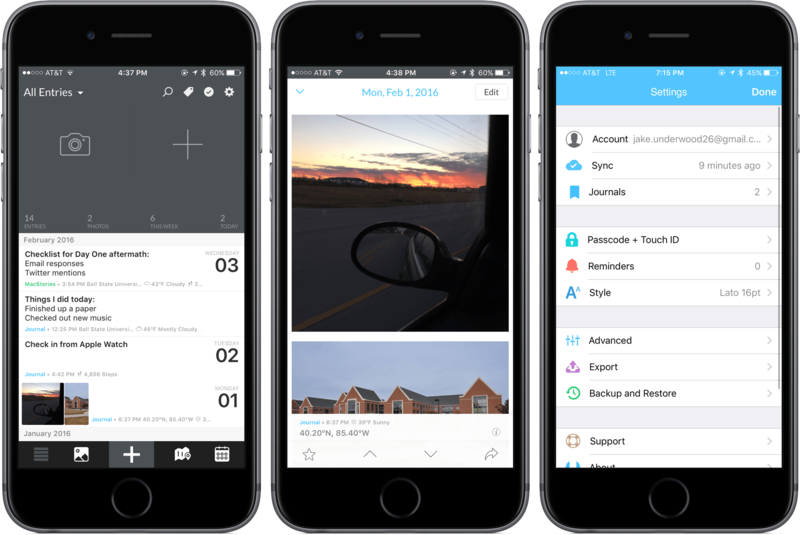 It was only last year, however, that Bloom Built’s vision could come to fruition with support for photos, weather data, and location information available right into your daily journal. Since then, Paul Mayne and his team have been hard at work to ensure that Day One could have feature consistency across platforms as well as take advantage of online data and Apple’s latest OSes and technologies. Day One is probably the most powerful app I have on my Mac and iOS devices, and I don't mean that from a technological or functional standpoint. Day One is based on a powerful idea: it's a journal app that combines text, locations, photos, and weather data to let you remember what you've done in the past. Eschewing the limitations of pen and paper, Day One's beautiful design and smart feature set make reading and seeing moments or your life a pleasant and potent experience. In the app’s Calendar view, I changed the year to “2012″ and, sure enough, the “August 1, 2012″ entry was there, showing photos of my hospital room; my girlfriend sending a selfie from home; and a note that I wrote about the doctors being “nice”. Bits of life. A combination of old thoughts and visual memories that I still have, in some form, in my brain, but that here, in this app — right now — I can hold and directly look at. It is, indeed, far more powerful than memory alone. It sounds so trivial because we’re used to it. It’s diary app! Of course it lets you browse old entries in a calendar, and of course it’s got search, and of course it accepts photos as attachments, and, okay, the fact that you can see old weather information is neat — but yes, it’s because of the GPS. Common technology terms for yet another app. But does it have a URL scheme? We often lose track of the magic of software.